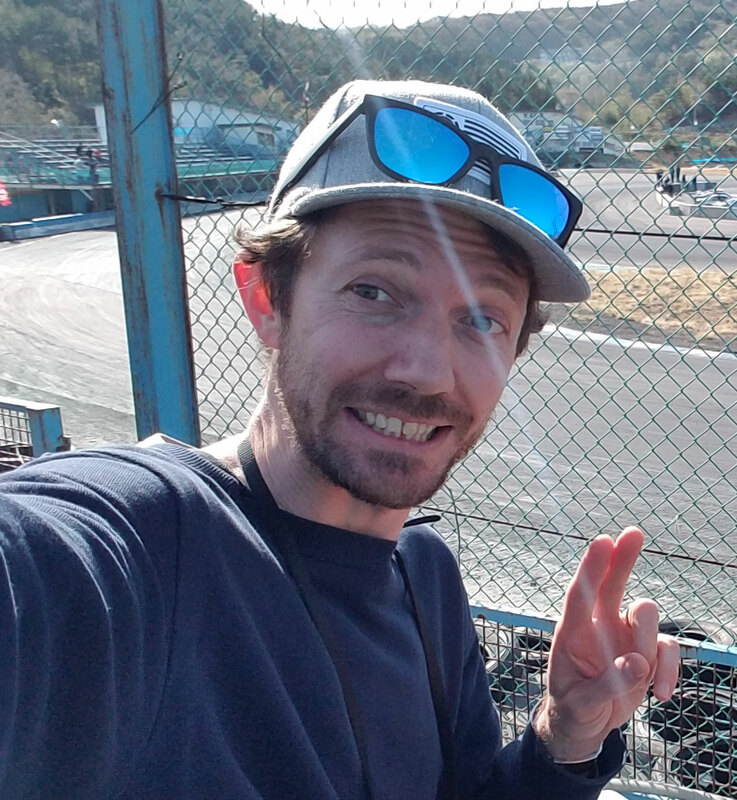 Hey everyone, Stuart here from Drift in Japan .com! I thought I ‘d share with you a little drift article to let you know about Japanese Drifting. Here in Japan, Drift is not a new sport but it’s surprising how few people outside the car scene know about it. Everyone knows the car brands Nissan, Mazda, Toyota etc.. Skyline, rx7, 350 fairlady Z, silvia are pretty household names, but when I tell people I go drifting, they have a funny look on their face like, “Dorifuto?” “What’s that? !” So I go on to tell them that drifting is going sideways at some crazy speeds while smoking the tires and keeping it all in control. They are shocked and say “It’s very dangerous” and I just smile and nod. So where did drift all begin anyway? Well there are a couple of thoughts about that. One is that it was adapted from rally driving style. Sliding the rear out around corners so as not to lose to much speed. I can see how they com eot that observation. Another is that it came from a circuit racer back in the 70’s who used oversteer to accelerate fast out of corners. Seeing that drifting originated in Japan, this one could most possibly be correct aswell. But who really cares anyway! I like to beleive that both influences made up the sport drift. I also like to think the young hooligan japanese street racers founded drift on the touge, or mountain roads! If you’ve ever been to touge in Japan, you will see the reason why Japanese like to drift so much on the mountain roads. They are built for drifting. Except for the sometimes blind corners where it’s a bit difficult to judge the shape of the corner etc.. It’s a recommend for any drift fan to come to Japan just for the touge. But as the cops got onto the street racers, it moved onto the circuits. Japan is blessed with hundreds of circuits. I am Australian and you fellow ozzies know how scarce tracks are there. I couldn’t believe the number of tracks all around here. You can’t drive more than 1 hr anywhere in Japan and and not be near a race circuit. By far the most famous drift circuit in Japan is Ebisu circuit. Owned by Kumakubo Nobushige. He drives an orange GBD WRX Impreza as do his fellow team mates (Tanaka and Suenaga senshu) in ‘team orange’ drift team. All of which are D1 drivers. Of course circuits are the way to go to get your fill of drifting. No cops, safer and you can meet a lot of fellow drifters. It costs more than the street but the whole experience is worth the few dollars for the day. Compared to drift in Australia, you’ll be paying about half the price. Luckily for me, Ebisu circuit is only 15 mins drive from my place. It’s in Nihonmatsu in Fukushima ken. Yer I know Kumakubo san and the others of team orange. I actually bumped into Kumakubo san at this cities Lantern festival last night!! It’s a small city so it doesn’t surprise me. Anyway, becasue ebisu circuit is so close to me it is my playground. I know my way around there pretty well..all 5 courses. Except for south course. That’s the ‘pros only’ course and it actually costs more to drift on it tahn the others. I usually go to one of the other courses like driftland or school course. It’s not so intimidating as south course. North course is also a heck of a lot of fun. So to wrap it up, drift in Japan is alive and kicking. And the circuit is the place to do it. Sure the touge is fun but it has its risks. I plan to go to ebisu with my mate Pete (also ozzy) this weekend so be sure to check out my next post with heaps of pics and more stories!